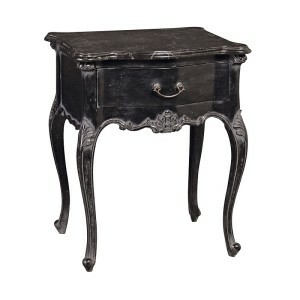 A fabulous black bedside table that has been hand carved from mahogany and finished with a heavy black marble top. This black bedside table features a.. 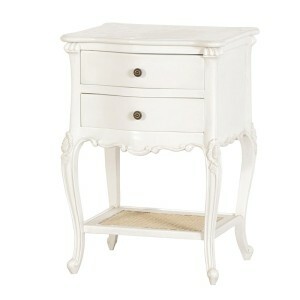 This white bedside table with rattan shelf is new to our Lucy Willow Collection. Carved from mahogany and featuring 2 drawers and natural rattan low s..
A very popular nightstand from our Chateau Collection. Long slender cabriole legs with 2 drawers and hand carved detailing. 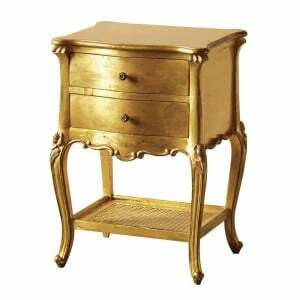 As with all this collecti..
A popular bedside table from our Chateau Collection. 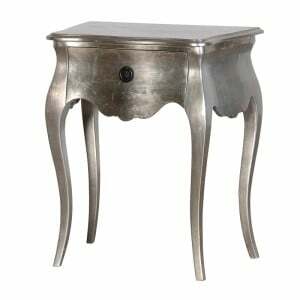 Elegant cabriole legs, hand carving and winter white painted with subtle distressed look and one ..
A gorgeous silver leaf bedside table from Lucy Willow. 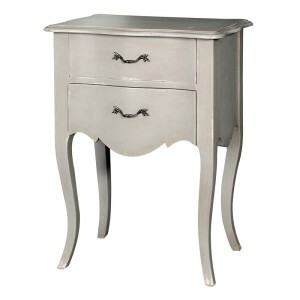 Carved from mahogany and finished in genuine silver leaf, this pretty bedside table features on.. 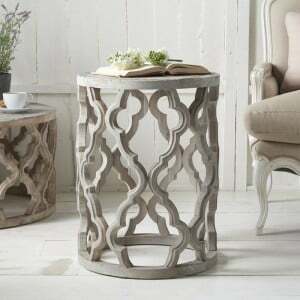 This Round Fretwork End Table is made using recycled elm. As it is a recycled wood, each piece will differ and have natural imperfections. 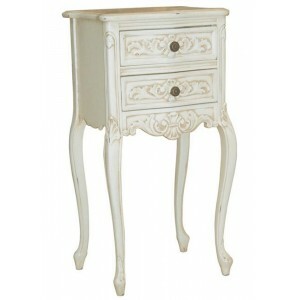 ..
Venetian 3 Drawer Bedside Table. ..